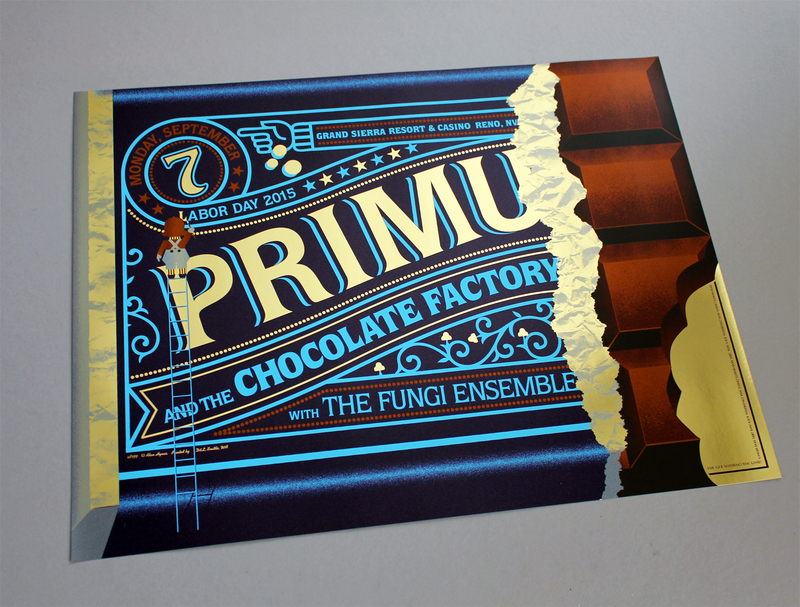 PRIMUS & THE CHOCOLATE FACTORY GOLDEN VARIANT GIVEAWAY!!! 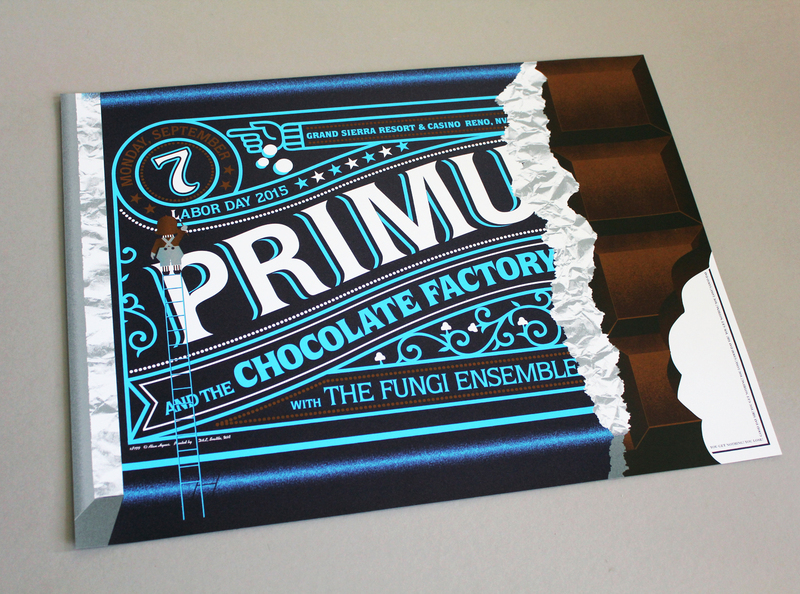 Primus are ending their final shows ever touring with their twisted musical interpretation of the famous film and In keeping with the spirit of the original movie that-inspired-the-band-that-inspired-the-record-that-inspired-the-poster, (and after talking at length with Mr. Wilder in a dream), I have chosen to disregard the overpriced and underwhelming!, the uninspired and all-conforming! the vapid and the unvarying variant! I have decided to give!, not sell!, but GIVE! these rarest of rare Golden Variants away! Five Golden Variants! 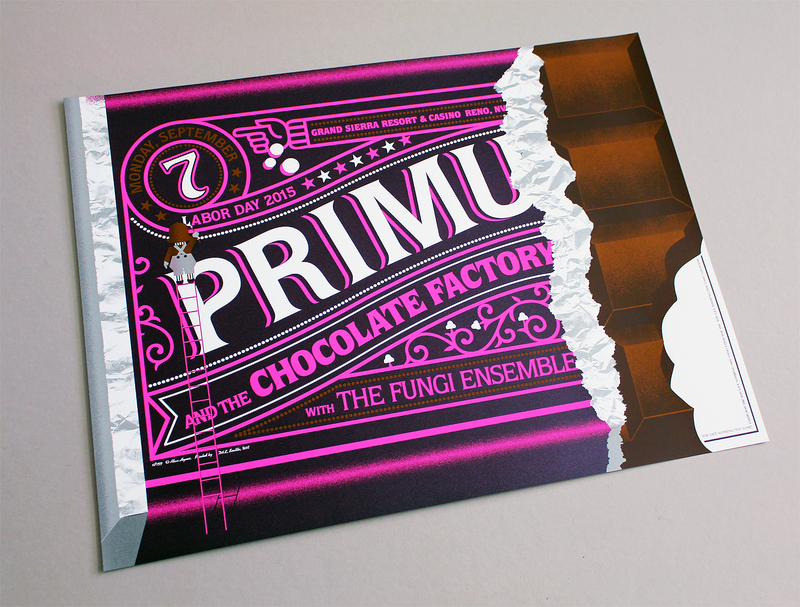 have been randomly inserted into custom candy cane tubes amongst a limited number of the original show posters. Five Golden Variants! 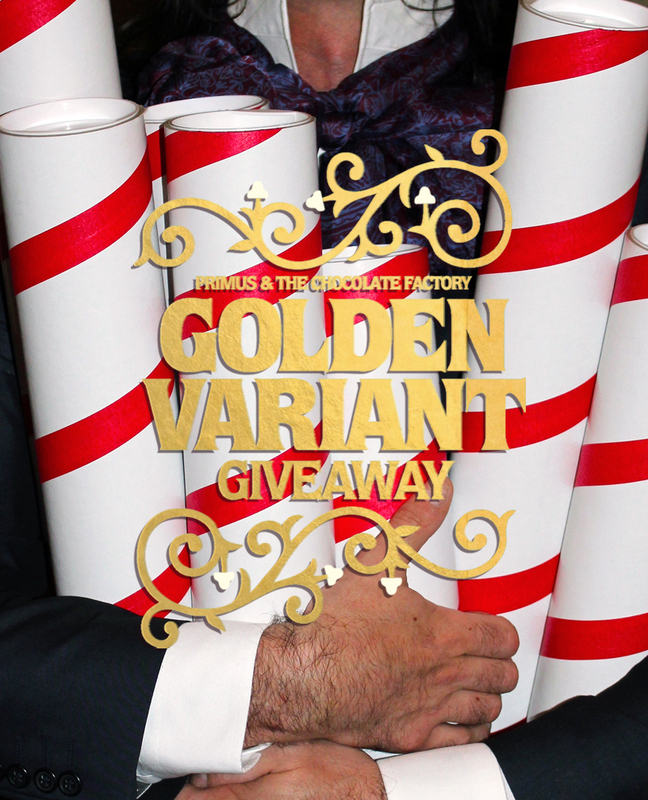 have been randomly inserted into custom candy cane tubes amongst a limited number of the variant colourway posters. Whether you see an optical illusion within an optical illusion or the terrible irony of an Oompa Loompa putting in hours on Labor Day, I urge you to take advantage of this once in a lifetime gamble! Variant copies of the poster will ship later than the regular show versions of the poster, please see each listing for more details. Purchase of either the regular version of the concert poster or the variant of the concert poster does not a Golden Variant guarantee, but whichever poster you receive, I sincerely hope, happy you shall be!